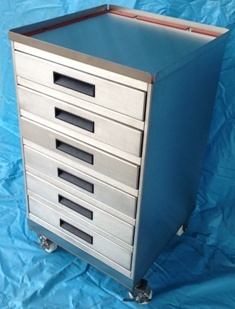 Scientific Machine & Welding, Inc. produces Industrial Custom Stainless Steel Cabinets providing great value to our customers. 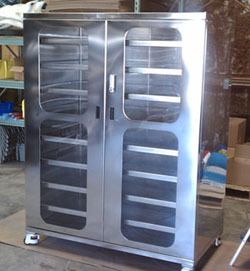 At Scientific Machine & Welding, Inc. we have engineered and fabricated a wide variety of industrial custom stainless steel cabinets and enclosures, ranging in size from small, wall mount cabinets to large, floor standing industrial custom stainless steel cabinets. 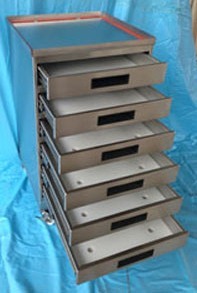 These industrial custom stainless steel cabinets have been used in many applications, including oil production, electronic, solar, traffic control and industrial environments. 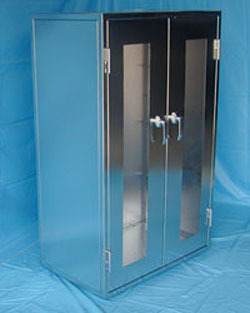 Our industrial custom stainless steel cabinets include a variety of doors, drawers, and panels, including electrical cabinets, precision panels, control boxes and enclosures. 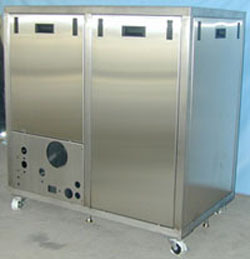 With focus on quality assurance and cost efficient products, Scientific Machine & Welding, Inc. is the industrial custom stainless steel cabinets producer that you can count on as well as the custom fabricator for any aluminum, steel or metal fabricated sheet metal item you may need for your products, facilities or production lines.